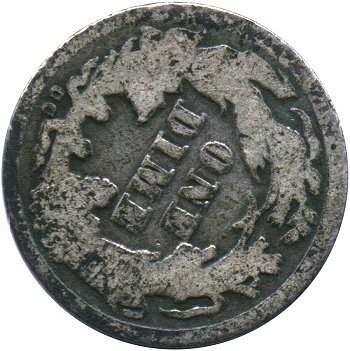 Comments: The doubled die obverse pairing with Reverse F is rarely found with two different rotated reverse positions. The first to be discovered was the Variety 107a rotated reverse die state which measured approximately 120 degrees. I believe this rotated reverse die state was reported during the late 1970s timeframe but more LSCC Gobrecht Journal research is required the exact timeframe. 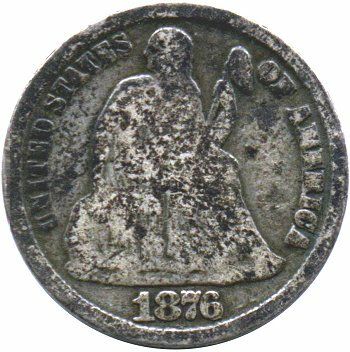 This is a very challenging die state to locate and is conservatively rated as R6+ in VF or better with only a few circulated examples known.